Sparkly start to the week! This weeks showcase is Swarovski® crystal pointed back clear crystals. If you want to enjoy a look like this for your nail art, these are the ones to use! The package contains 72 pieces of 19ss crystals for $19.95. That works out to just over .27 cents per piece. I would charge at least $2.00 for each crystal with application. Your profit for each package would be just over $124.00. Such a great way to make extra cash when you use these high quality Swarovski® crystals. 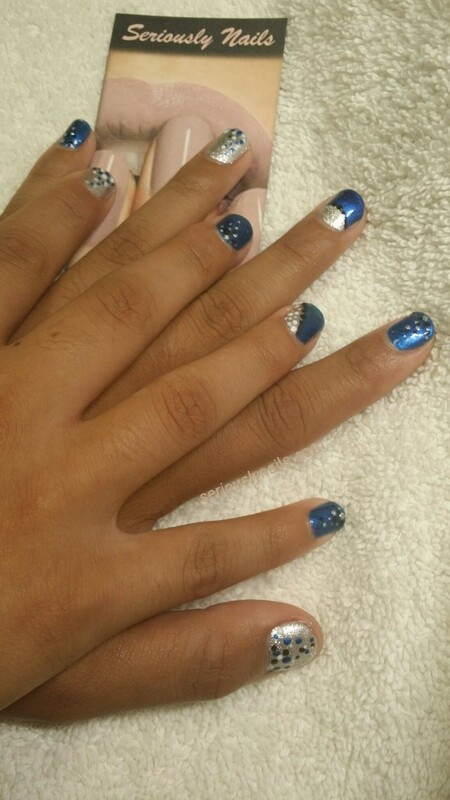 My newly married friend came in after a month to have her nails done. She showed me a picture of what she wanted, and I attempted it. Although I didn’t have the right color glitter, this is the final product. It took me longer than I liked so I gave her a little present under thumb nail and her pointer finger on her other hand! Today’s prompt is Candy Cane. I decided to change the shape of my nails to something that I have NEVER WORN!!!! So, needless to say it took me longer than I had expected! Here is the big revel…a ode to my friend Roxanne who has rocked this shape since, well, forever! I used Vetro white and Akzents Red in Gel Play then I added some new to the scene, Crystal Pixie Dust from Swarovski®!!!! Another feat by Crystal Katana! Although not quite as daunting as covering a Porsche in Swarovski crystals, it is still tedious work. 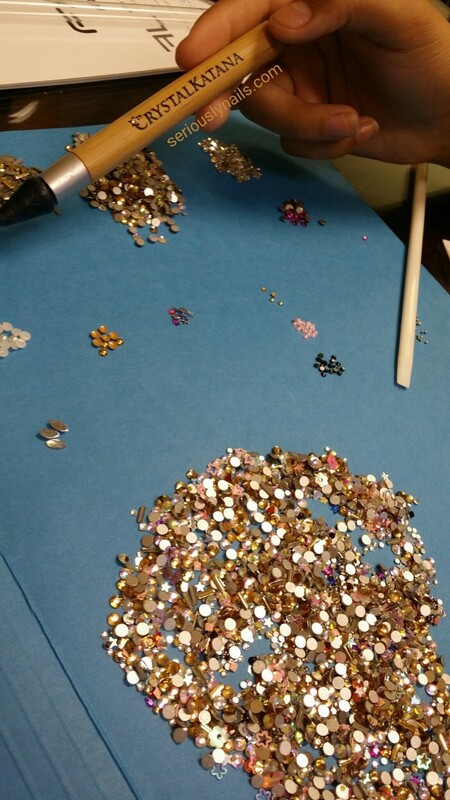 I am super grateful that my friend (she is 14 years old) comes by every now and then to help me finish sorting out my mess of crystals and other nail art items! I thought that the Crystal Katana would be PERFECT for helping to separate them all! Thank you Aliya for all your help. Because I appreciated her help so much, I did her nails for her. She picked the colors and I did the designs. Kellie DeFries & the Crystal Katana are going to the Guiness World Book of Records! 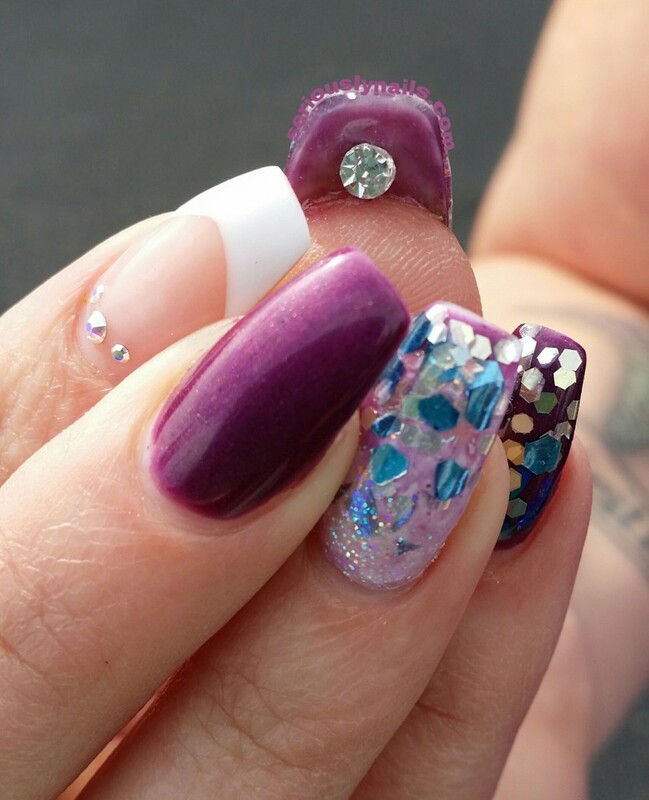 Most hobbyist and definitely most all nail technicians have done work using crystals or even Swarovski crystals to do nail art. If you are at all clumsy like me, you need all the help you can get in placing the stone in the design. I found the Crystal Katana from Crystal Ninja, Kellie DeFries, works the BEST for me. The whole time we chatted, she was telling me about other people doing incredible work with crystals as well. This picture is with Kellie and April Renee. The out fit she is wearing is made of Kevlar (a racing suit I believe) and she actually washes it with Palmolive and the hose outside. Then hangs it to dry. This lady is seriously about having her crystals stay stuck! 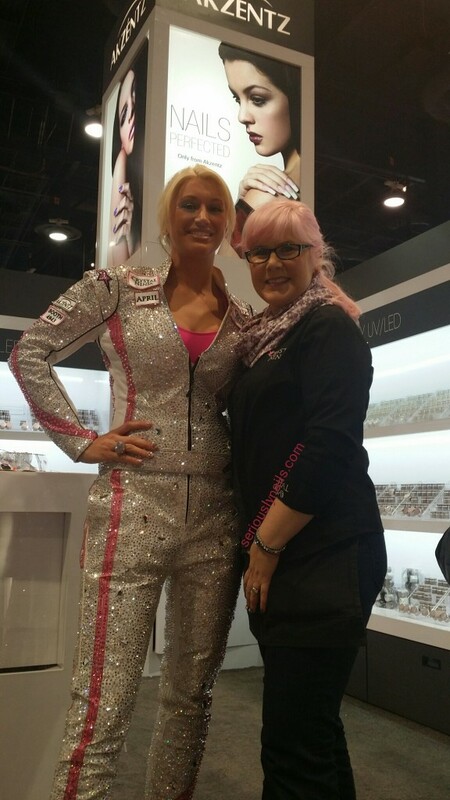 The second cool part about this story is that Kellie has decided to bling a Porche Speedster! Yup, a real car. And she is doing it to get into the Guiness World Book of Records. 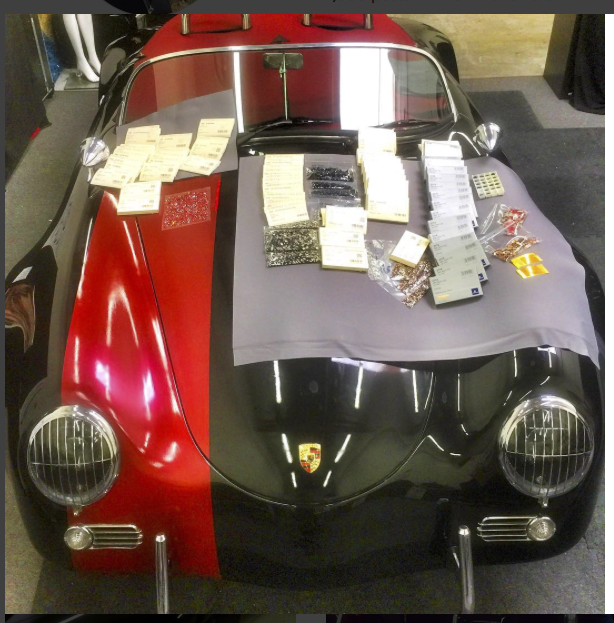 By completely covering this replica Porsche with Swarovski Crystals, Kellie suggests that the value will be around $120,000.00 This price tag includes the cost of the car, crystals, and hours to complete! Here’s wishing Kellie all the best in her endeavor that she hopes to have wrapped up within 90 days (She started on Sept 1). Happy Canada Day to my family and friends up North! I would like to wish my Canadian family and friends a very happy and safe Canada Day! 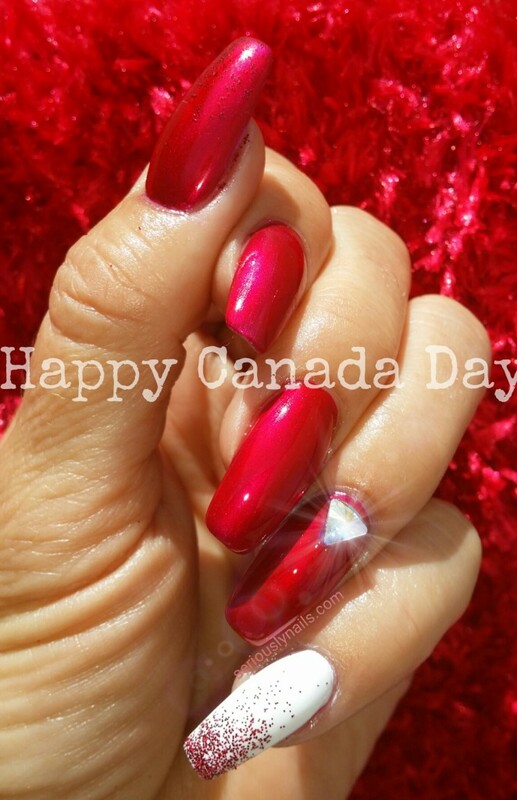 I made a deep deep deep red and white manicure for you all to help celebrate the day. 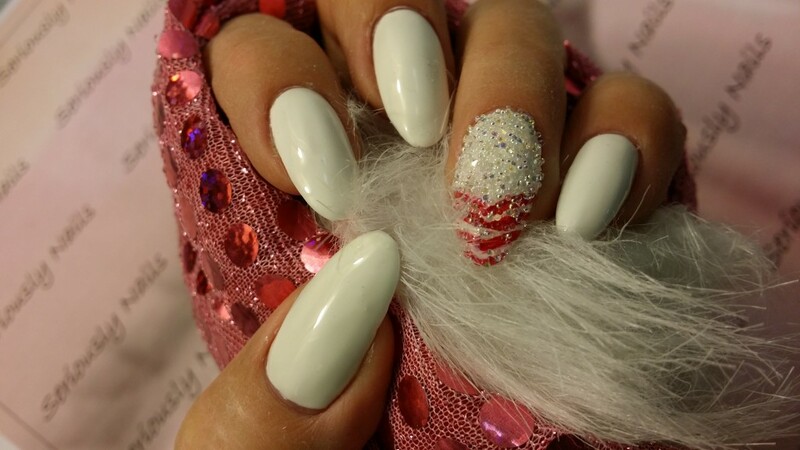 INM White Porcelain on the pinkie with Young Nails Royal Red sparkles! A little sparkles on my thumb too. 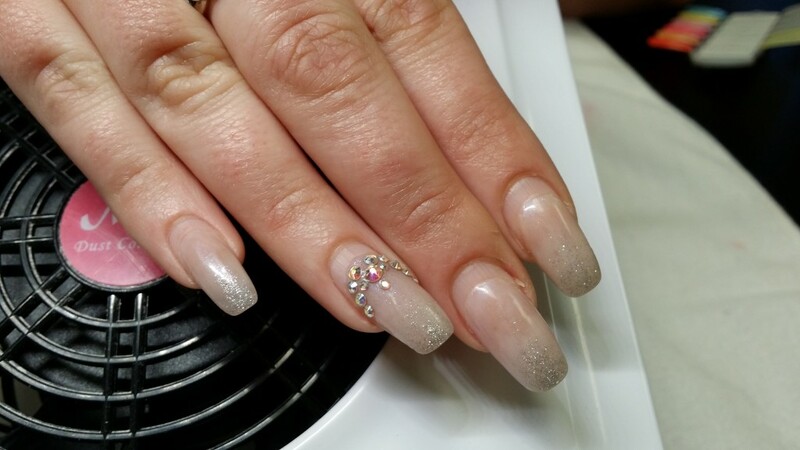 Swarovski crystal from Mr. Nail Art applied with Akzentz Bling On gel.